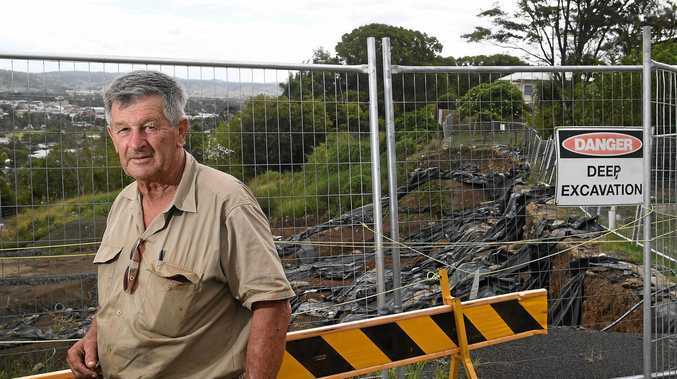 Land owner worried about land slip in Lismore: Ken Allport at the excavation of the landslip and reformation of the embankment along Beardow Street where historic industrial waste including coke and slag like materials, as well as bonded asbestos, was encountered. A LISMORE Heights landowner still affected by a serious landslip which occurred during the 2017 flood says the council is taking too long to remedy the issue. Ken Allport owns land impacted by the landslip on Beardow St. He hopes to build a house there, and was about to sell two sub-divided blocks before the flood but said the sales fell through after the landslip and his house plans are now on hold. Some residents on the street still cannot drive to their homes. 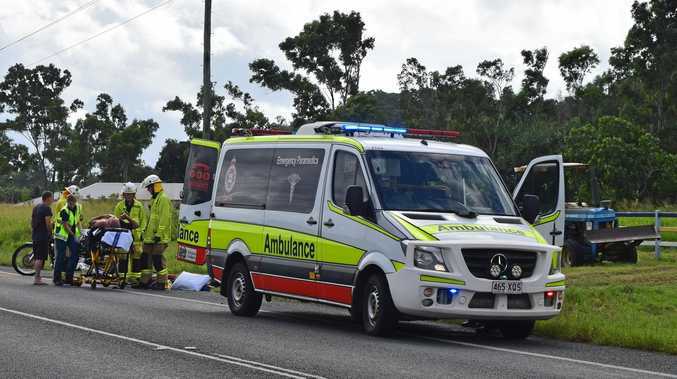 Lismore City Council recently cited the landslip as one issue contributing to its $6.1 million cash deficit, but Mr Allport said the incident shouldn't have affected the budget as it had state funding allocated. A council spokesman said while the project was set to receive $1.1 million from the National Disaster Relief and Recovery Arrangements, contamination later found at the site meant they were no longer eligible for that funding. "Negotiations with state agencies continue on this matter and work has stopped while funding is resolved," the spokesman said. The Land and Environment Court's Commissioner Bish ordered in October 2017 that both parties undertake remediation and stabilisation measures within 21 days. Mr Allport said he fulfilled his requirements, but the council's work remains at a standstill as more contaminated material will need to be removed, and more funding is still being sought. The council's spokesman said they had spent $1.2 million on the project to date and that $700,000 for remediation in the council's quarterly budget review had "not been fully expended". "Council is continuing to negotiate a funding outcome," he said. He said the council held an emergency meeting with the Roads and Maritime Service last Thursday and RMS management attended the site yesterday. "The area is still contaminated and material needs to be removed," he said. "However, there is no public health risk and full safety measures have been adhered to." He said the portion of contaminated material that had been removed so far had been taken to a secure disposal facility and posed "no public health risk". He said "continuous" monitoring of the site was also taking place. Meanwhile, Mr Allport said he'd received little information about what was happening at the site. "They don't tell you anything," he said. "They need to get government money from somewhere to finish to off and they're talking about $2 million, I think, to finish it. "Someone's got to come in and fix it. Mr Allport said he would refuse to pay his rates on the block until the matter was resolved. Mr Allport attempted to address the council on the issue at Tuesday night's extraordinary meeting on the Imagine Lismore Delivery Program, but he was told he was not able to speak. Lismore mayor Isaac Smith invited him to address the public access session at the council's April meeting.